Everyone loves having clear, radiant skin – which is why we search for the best products to use. But one item that’s fantastic for your skin might be surprising to you. Activated charcoal is proven to have many benefits for your skin, hair, and more. That’s why so many beauty companies have started to include it as an ingredient in their skincare products. You may be wondering what exactly activated charcoal can do, and what products are the best to use. One of the main reasons why activated charcoal is great for your skin is that it helps to cleanse pores, making them appear smaller and less visible. The charcoal binds to any dirt in your skin and pulls it out, leaving you with less noticeable pores. It also is great for balancing oily skin, as it pulls unwanted oils from your skin. By removing the excess oils, your skin is left feeling smooth and clean. Acne is another skincare problem that can possibly be solved by the use of charcoal, because it may absorb the toxins surrounding any blemishes. 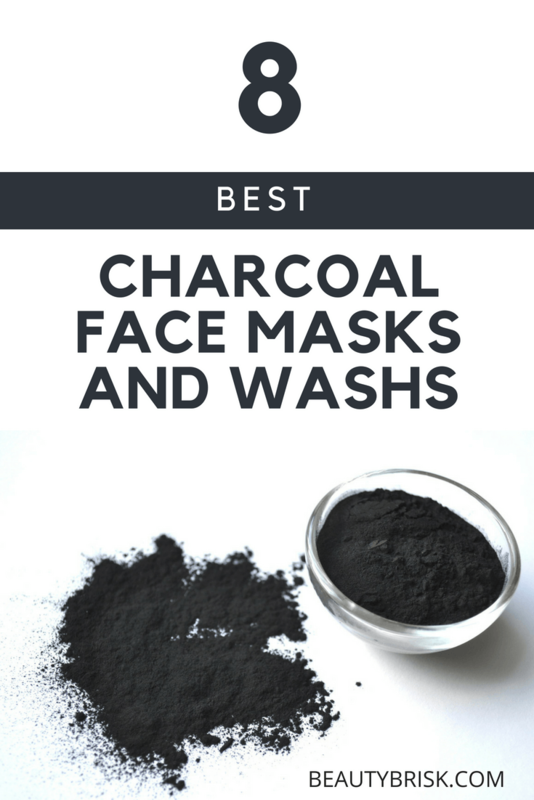 Charcoal is a great deep cleanser, and it can be helpful for those who struggle with acne. There are many products that contain activated charcoal, including face masks and washes. Here are some great skincare products that contain charcoal as the main ingredient. This mask by Purederm is designed to help regulate hyperpigmentation and detoxing pores. Pores can easily get clogged with dirt or oils, and this mask can help with that. If your skin is feeling dry or dehydrated, the moisture and hydration from this wash-off face mask might be the solution. The charcoal is suitable for sensitive skin, with no sulfates, mineral oils, synthetic coloring, triethanolamine or petrolatum. This 2 in 1 mud mask by FineVine makes pores appear smaller and extracts dirt, resulting in clear, glowing skin. The combination of activated charcoal and dead sea mud helps to eliminate acne and open clogged pores. When applied, it should be washed off after a few minutes, leaving you with clearer skin. It also is great for reducing wrinkles and eliminating oils. Overall, it’s a great product that reduces many skin problems. It is made and packaged in the USA, and is GMP facility manufacturing certified. The product contains no kaolin, color, preservation, glycerin or fillers. This mask is 100% natural, cruelty-free, and contains no parabens. This charcoal mask by Chilogy contains many additional antioxidant ingredients that are perfect for preventing skin problems. 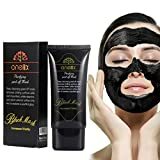 It includes sunflower and olive oils, aloe vera gel, organic orange peel, rooibos leaf extract, green tea, white tea, and vitamins B5 & C. But of course, the charcoal is the main component of this mask, which will help fight clogged pores and remove unwanted oils. The other ingredients are all great for hydration and improving damaged skin. The cleanser is great for all complexions and skin types, even for those with sensitive skin. It is made in the USA, contains no parabens, pthalates, or sulfate, and it’s also cruelty free. This wash off face mask is designed to remove oil, dirt, and other toxins that might be clogging your skin. It also can help with fighting blackheads and minimizing pores. It’s also great for all skin types, but is best for oily skin. 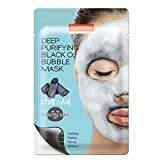 Alteromonas ferment extract and licorice extract, combined with the activated charcoal are great for clearer skin, which is why this mask is a good choice. This peel-off mask is specifically great for oil control, anti-aging, treating acne, pore cleansing, and blood circulation. Using this wash daily will likely leave you with clear skin that’s free of oils and toxins. In addition to facial use, it can be used for the décolleté zone and back. After using a hot compress or warm water to open pores, just spread the mask evenly until it’s smooth, wait 15-30 minutes to dry, and remove. 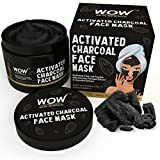 This 100% activated bamboo charcoal mask is great for many purposes, but it’s best for a face or body mask. It serves as a natural exfoliant to help remove excess dead skin cells, and is tar and chemical free. This mask is 100 % made from premium Thai bamboo. If you’re looking for a mask that is made with quality ingredients and will absorb toxins, this is a great choice. 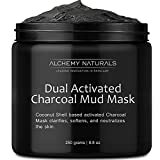 This Alchemy Naturals mud mask is gentle for everyday use, but is made with several organic extracts that will help purify skin and cleanse pores. It contains aloe leaf, olive fruit, jojoba seed, roobio leaf, orange seed, and peppermint. The combination of these ingredients and the activated charcoal will leave you with soft, radiant skin. It’s also great for preventing acne, and mud masks have been known to help with blood circulation. Overall, this is a good choice if you’re looking for a deep cleansing mud mask. 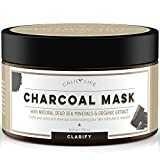 Masks with Dead Sea minerals are known to be effective for skincare, and this CalilyLife charcoal mask is a great example of that. It contains organic activated charcoal, Dead Sea minerals, aloe, Vitamin E, kaolin clay, and more. After spreading evenly onto your skin, simply leave for 15-20 minutes before removing. It can help remove fine lines, reduce pores, and eliminate blemishes. It’s also great for hydration, detoxing, and purifying. Overall, this mask is full of many great ingredients and can help with a variety of skin problems. Overall, these products are all very different, but they all have generally the same purpose. They’re great for purifying and cleansing skin, and they all contain charcoal. Obviously there is no magic cure for perfect skin, but charcoal can be very helpful for achieving the clear skin of your dreams.